Mastercard today announced a multi-year partnership with Riot Games to become the first global sponsor for League of Legends esports, the largest esport in the world. This first-of-its-kind global agreement signifies Mastercard’s support of the esports community and further diversifies the technology company’s world-class sports and entertainment portfolio. As the exclusive global payment services partner for League of Legends global esports events, Mastercard will focus on three annual global tournaments – the Mid-Season Invitational, the All-Star Event, and the pinnacle of all esports events, the World Championship. Mastercard will curate unforgettable Priceless experiences and offers across onsite event activations, priceless.com and through other various promotions to bring fans closer to their passion and everything they love about League of Legends events. Starting today, Mastercard cardholders in the United States and Canada (excluding Quebec) will have a chance to win the ultimate All-Star Event experience when they use and save their Mastercard information within the League of Legends gaming platform. Similar promotions and additional ticketing programs will continue to roll out globally throughout the partnership. In addition, Mastercard will work with its banking partners to offer unique League of Legends co-branded products in select markets, starting in 2019. 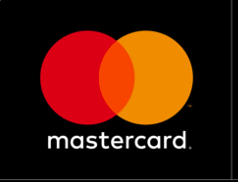 For more than two decades, Mastercard has been a sponsor of sports and entertainment. League of Legends is the latest sport to join Mastercard’s impressive roster of premier partners, including Major League Baseball, the PGA TOUR®, The Open, The Australian Open, Roland-Garros, Rugby World Cup and UEFA Champions League, among others. League of Legends is a premiere global sport with 14 professional esports leagues, 113 professional teams, and over 850 salaried athletes worldwide, overseen and operated by Riot Games. League of Legends esports games are broadcast live to millions of fans in 18 different languages across the globe, with viewership of the regular season averaging 90 million hours-watched live, week-over-week worldwide. The League of Legends World Championship tournament consistently reaches new viewership milestones each year, easily rivaling those of major traditional sporting event finals; for example, Worlds 2017 reached a total of 1.2 billion hours watched over the course of the 21-day competition, with the most-watched match pulling in over 80 million live unique viewers.